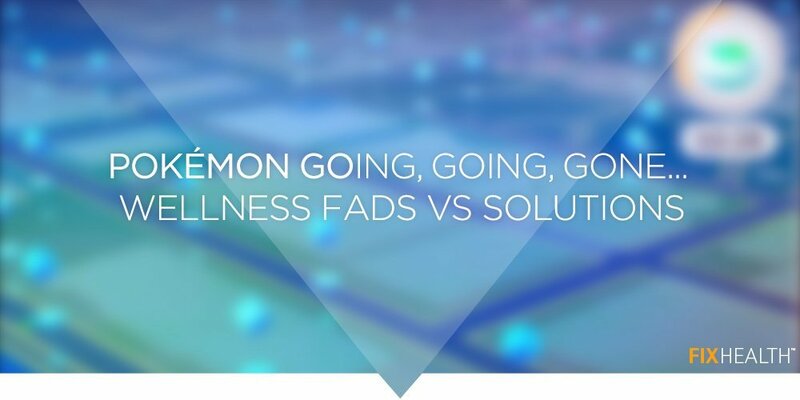 Not that long ago the video game, Pokemon Go!, was hailed as a solution for sedentary behavior and obesity in Americans. Here was a game that was played on mobile phones and where real-world walking helped succeed in the game. Downloads exceeded 100 million. People increased their activity. Then as quickly as it began, the bottom fell out. Why? Forbes has now reported on Harvard studies that explain it the dropoff. In a nutshell, this research shows an all-too-predictable pattern. The group studied had a huge initial spike in engagement, which diminished weekly until the 6-week mark, when walking had normalized to pre-game levels. •First, it has to consistently outcompete other emerging games. •Secondly, the game has to keep changing. •Third, other things in your life have to change as well. Fitness Interactive Experience has been making employees healthier through video games since 2012 and is continuing to grow at a remarkable rate. Why? To learn more about FIX’s Wellness success with companies like Coca Cola and Cigna, check out our office step challenges. Write It Down! – Research shows you are 42 percent more likely to achieve your goals just by writing them down. Why did it have to be Zombies?